Sometimes you fall in love with something ugly. Sometimes you’re the odd person out. Sometimes you love something that everyone else hates. This time, the TechnoBuffalo gaming crew has decided to get together and talk about a game that has earned a special place in their hearts. The catch? 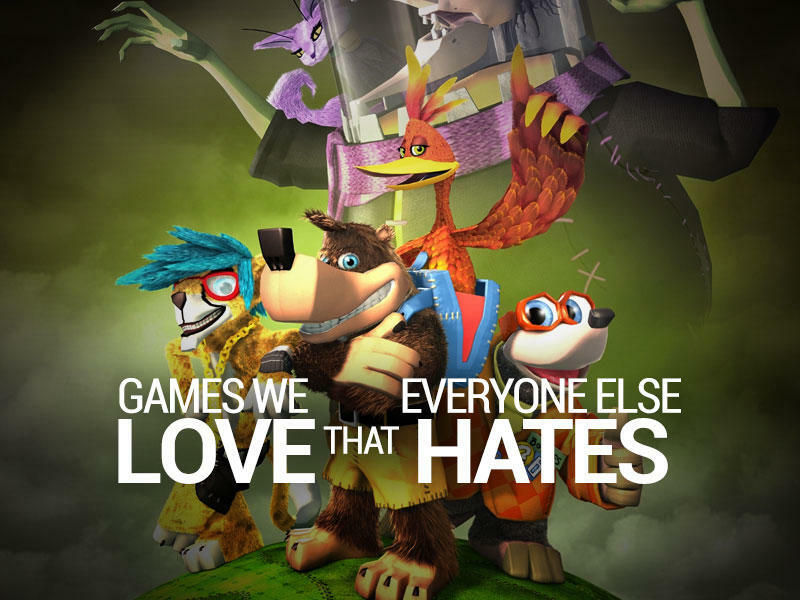 That game has to be hated by a vast majority of gamers. These are the games that we love while everyone else hates. Joey Davidson loves Banjo-Kazooie: Nuts & Bolts. I was a huge fan of the original Banjo games that released on the Nintendo 64. When Rare and Microsoft announced that they were bringing the franchise to the Xbox 360 so many years ago, I was just as pumped as the rest of you guys. And, subsequently, when they revealed that the game was more of a vehicle builder than a platforming title, I was just as cranky. Then I played it. I fell in love with Banjo-Kazooie: Nuts & Bolts. Sure, it wasn’t the same platforming collectathon that I fell in love with back when I was a kid, but it was a fantastically put together game with a really unique twist. You got to build and drive/fly your own vehicles. The driving physics were sloppy, the story was bogus and the “platforming,” what little there actually was, was pretty much terrible. While these things all stunk, the game still shines as one of my favorite experiences on the Xbox 360. Why? Well, for instance, I built a giant tank with all sorts of weaponry. With the same vehicle, I made it so that banjo could detach a small car at the push of a button. Boom, I’d drop from the tank in a tiny, fast car for better transportation. Wait, I’m not done yet; the car itself had folding wings and a rocket on the back. That’s right, open the wings and that small car could fly. That’s why I love Banjo-Kazooie: Nuts & Bolts. Yes, it’s a departure from the original formula. However, it’s Rare’s last great game. Also, the music was amazing. Ron Duwell loves Bionic Commando. Reinventing a certain devil crying franchise proved to Capcom that no matter what, people are going to hate your new vision. They’ve already come clean and said they expected fans to push back against their decision, and that’s because they learned their lesson with the disgruntled reaction towards their remake of a beloved NES action classic. 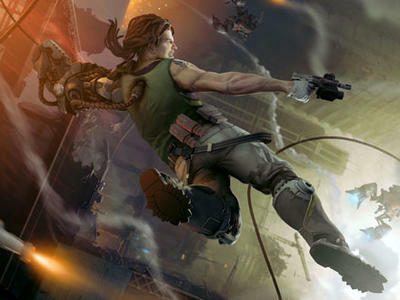 The recent 2008 Bionic Commando game for current gen consoles and PCs is exactly what it was required to be and nothing else: a highly linear experience with a crushing learning curve and exciting action available to those patient enough to really grasp the mechanics. In other words, it is a modern day NES game. 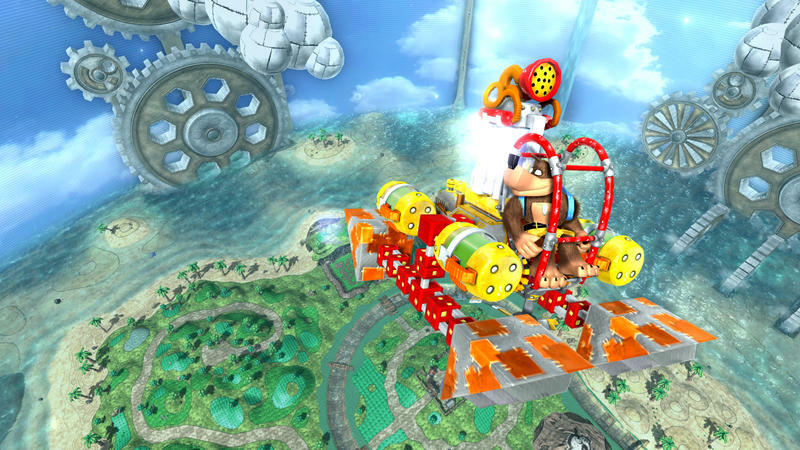 There is…well, I guess…was nothing wrong with a steep learning curve in video games, and the task of mastering a difficult mechanic is ultimately more rewarding than breezing through another circle, circle, triangle combo system or point-and-press platforming mechanic that will never change over the course of its game. Just like Strider or Contra, you’re not going to get this latest Bionic Commando right away. The swinging mechanic doesn’t feel natural? Well, practice it until it does! The enemies’ patterns are too random and difficult to pick out? Well, find your own way to beat them. Games these days are so well polished, and their creators have already thought of everything for you. It’s boring. 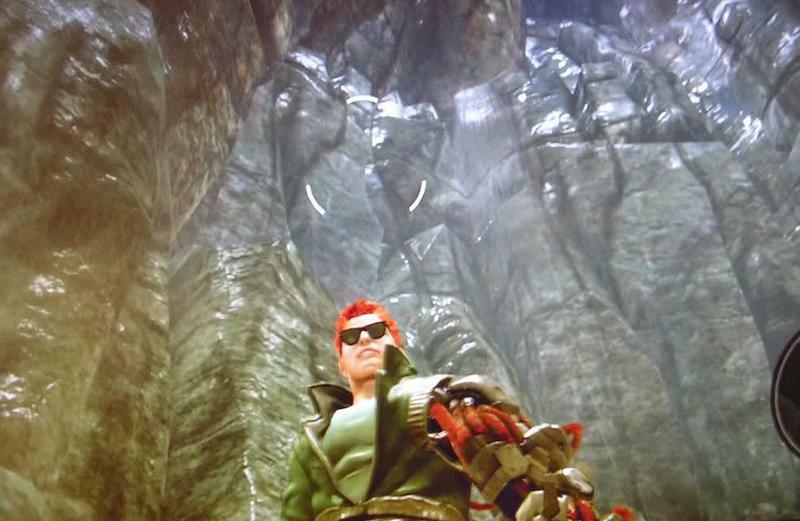 Bionic Commando lets you discover what’s cool about it, not feed it to you on a shiny silver platter. It’s more than just a simple linear experience, it’s an entire platform used for exploiting breakable game mechanics and turning them into something more magnificent than the programmers might have originally intended. Radd Spencer is not a gaming icon, we can just get that out of the way, so there is no real character to destroy. His modern persona, Nathan Spencer, is not particularly likable, and Capcom regrettably never released a code to fix his personality. But yes, those dreads are fixable. Download Bionic Commando ReArmed, and just enter a code provided on the menu screen to unlock Nathan’s “Classic Skin,” and have him look like the Spencer from the classic NES game. Not only does it remove the dreads, but it also adds another level of surreal hilarity to the game seeing 1980’s Radd Spencer channeling Solid Snake through that corny tough guy dialogue. No, it’s not a perfect game. The cringe worthy cutscenes and lame twists in narrative history don’t do much to strengthen the game’s case, but all of Bionic Commando’s best moments happen during gameplay. Duking it out with three monstrous robots over deep chasms, swinging headlong into a group of simple red soldiers to a fully orchestrated remix of the classic theme, working your way to find the best route for taking out a snipers nest, or dropping from above to wipe out an entire squad…all using tactics I uncovered or created on my own. These are moments no stupid narrative can destroy. Eric Frederiksen loves Deadly Premonition. I didn’t buy Deadly Premonition because I was excited about it; I bought it for just the opposite reason. I wanted something to heckle. And for the first 5 hours or so, I did. From a strictly mechanical perspective, Deadly Premonition is, at best, a sadly outdated game. The combat is basic, boring and barely functional. The graphics aren’t going to do anything to your socks, let alone knock them off. It was easy to laugh. I started to get to know the characters, especially the protagonist Francis York Morgan. Fans of the game know that you can call him York, because that’s what everyone calls him. Isn’t that right, Zach? Calling Deadly Premonition an homage to Twin Peaks would be a bit like calling the moon landing a “notable event.” It’s a love letter from an adoring fan in all the right ways. York, patterned off the classic TV show’s Special Agent Dale Cooper, talks to a never-seen Zach the same way Coop talks to his tape recorder, addressing the mysterious Diane. York talks to Zach about the mission at hand, whatever movie is on his mind, or what he thinks about people–right in front of them. Is he talking to another personality, or what? As the game progresses, not only does this quirk not get old, it plays an integral role in the story and the development of York himself. The other characters, too, are interesting, if not well-written as well. The members of the police force, the relatives of the victims, and other strange characters each had something about them I couldn’t help but get attached to. By the time I finished, I was so wrapped up in the characters that what would’ve already been a shocking ending ended up being haunting. I felt for the characters and cared about them, even through some of the weird, weird gameplay that preceded it. 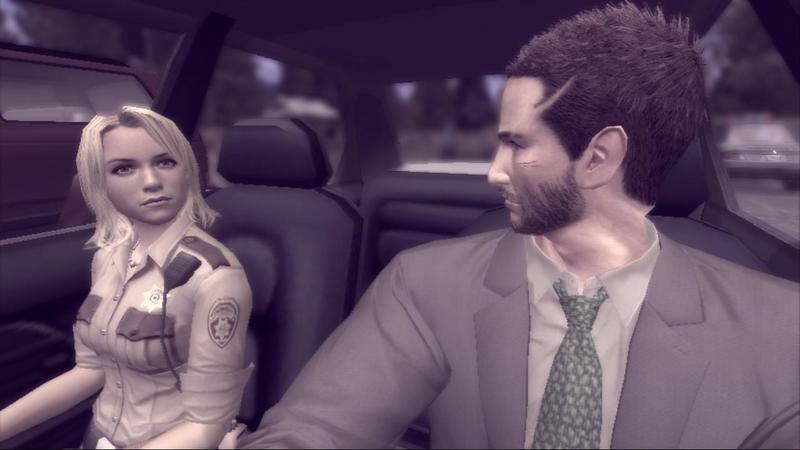 At first, Deadly Premonition was almost universally panned when it came out in Spring 2010 at the budget price of $20. Then, its fanbase started to find it. Destructoid’s Jim Sterling praised it without irony, Game Informer’s voice, too, joined in. Now there’s even talk of a potential sequel. Okay, maybe not everyone hates it, but it is the very definition of a cult classic.